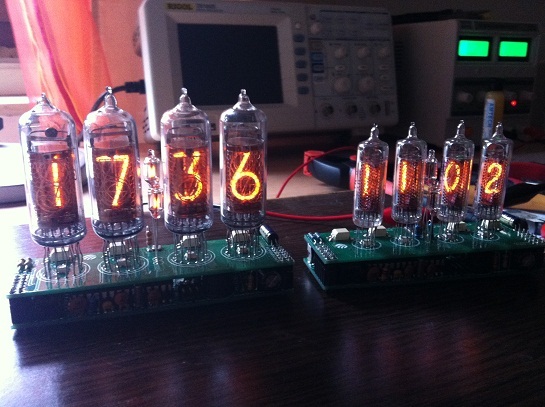 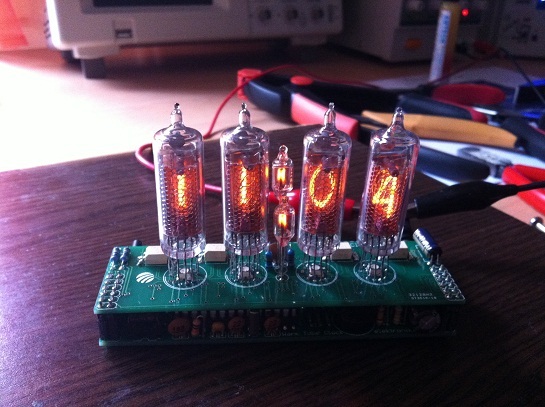 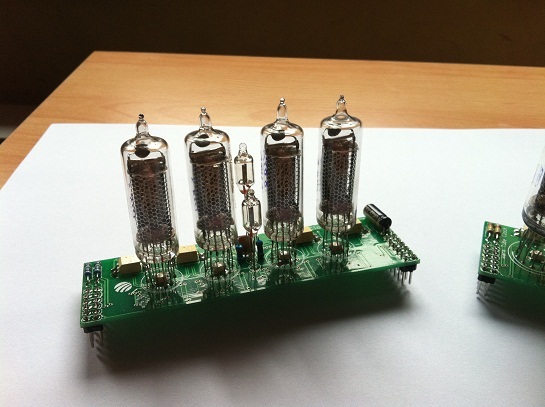 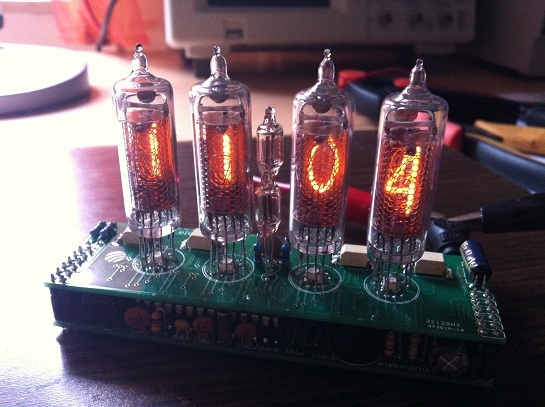 [Ruslan] sent us few pictures of his Warm Tube Clock v2 Nixie clocks and a Youtube video. 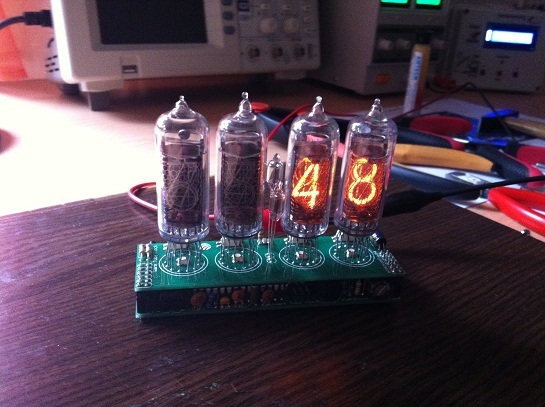 This version of clock uses DS3231 RTC IC and is fully compatible with DS3232. 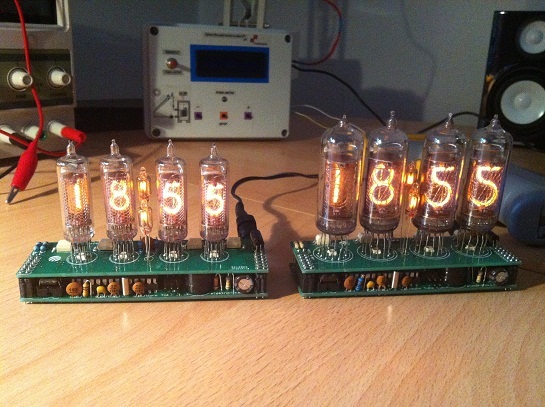 It is also pin-compatible with previous one, so it is possible to use shields of previous version on this one and vice-versa. 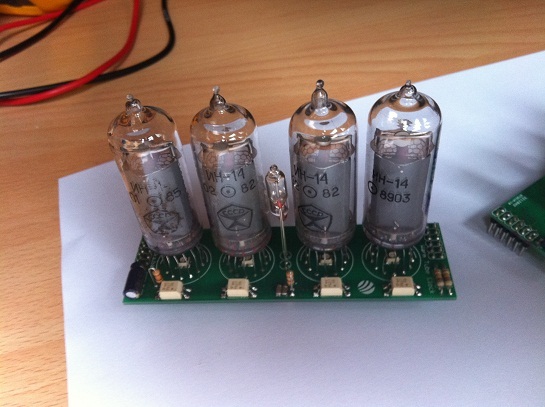 IN-8 shield is replaced with IN-14 shield because these tubes are cheaper and easier to find. 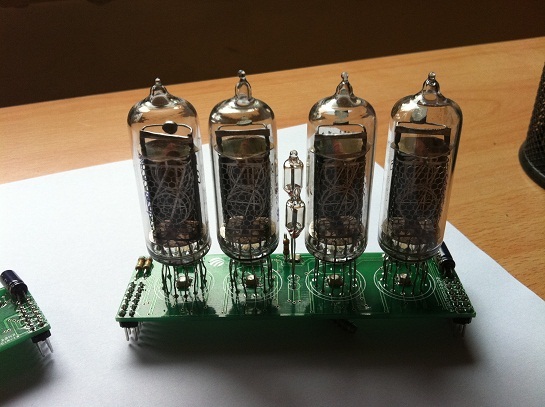 Take look at some pictures he made for us.